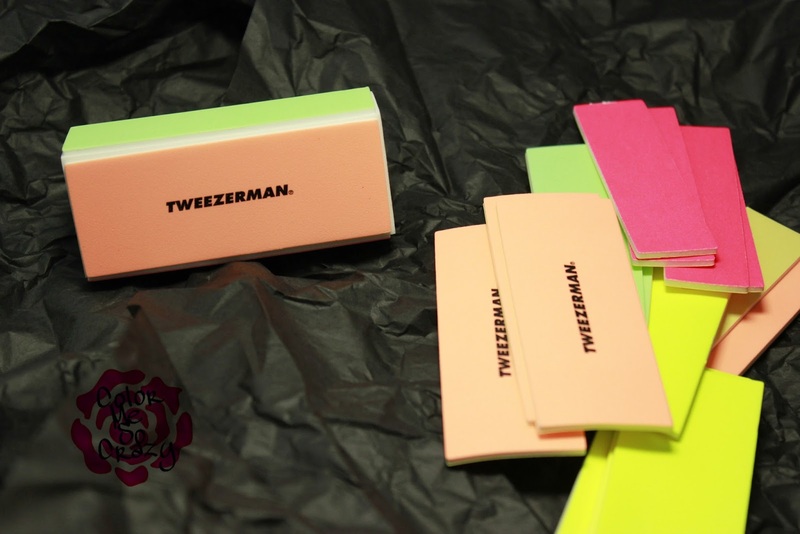 Tweezerman has some Goody Goodness for YOUR Nails! Let's talk about nail health! Instead of nail art, today we are going to talk about what I do before we get to all those pretty designs! Manicures are such an important part of my routine. I give myself a full manicure at least once a week and a mini-mani every time I do my nails. 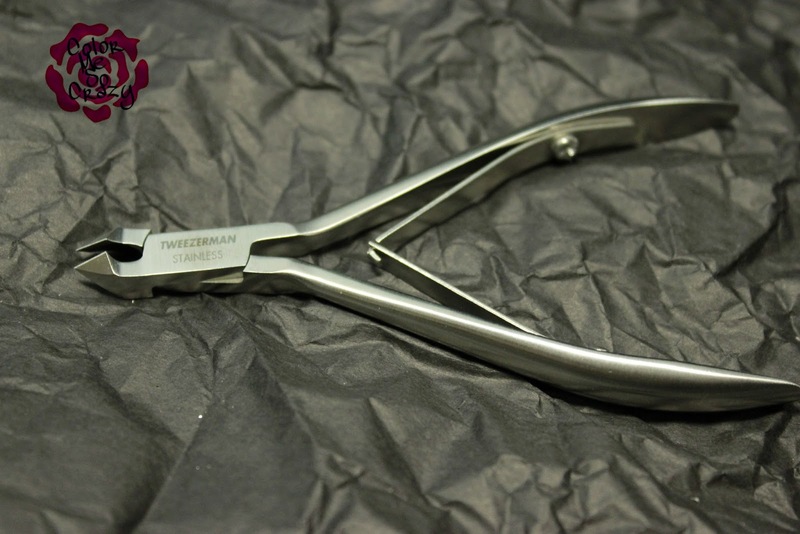 Tweezerman offers every tool that you could possibly need and/or want to help with your manicure needs. Pushy and Nail Cleaner and Ingrown Toenail File and Cleaner are both stainless steel and BOTH 2-in-one nail tools. The "famous" Pushy (pictured on top) is a cuticle pusher and nail cleaner in one. I am going to talk more about the tool pictured on the bottom next week. The edges are smooth to prevent scratching on your nail and the handles are both chiseled to ensure a secure grip. You can grab Pushy here for $18. There are so many great products here and I have been using them like craaazzzy! My favorites so far are the 4-in-1 block (it's a multi-tasker HELLO! ), the Spring Cuticle Nipper and the Fingernail Clipper. What do you think of this lineup? 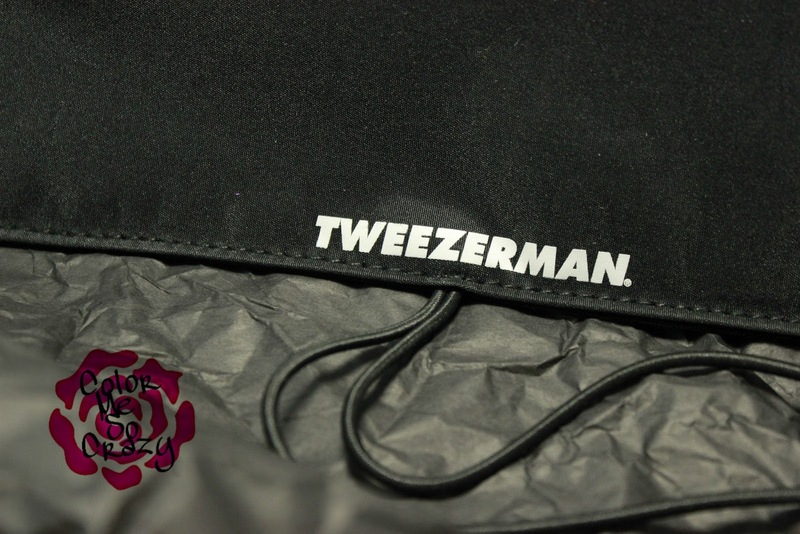 Stay tuned to my Foot Care Post featuring Tweezerman products coming up soon! If you want to learn more about these products, you can check them out here for you hands and here for your feet.